"He's there everywhere ya now. TV, radio, shows etc. Since every one sees/hears him on a daily basis now, no body calls him for interviews. The only calls are for hosting their weddings or birthdays or karvachauth parties. After months, we have got a call for an interview." Someone from his team tells me this. "But, I'm not calling for an interview. Just a chat. Like his show." I say. "Whatever ya, he will be there. Just give me the address and a date." She seems bored and annoyed. So finally, the big day is here and Karan Johar walks into the terrace of my house where I'm waiting for him with two cups of, what else, coffee! Just when I stand to welcome him, he speaks. Karan: Gosh, Bebo was right. This place is a dump. Karan (looking at me from top to down and frowning): So, you are the journalist? I: Sorry no, I'm just a blogger. Karan: Ah, you are Miss Malini! Then, I've met you before. Comes forward, hugs me and follows it with air kisses. Karan: Come on, let's take a selfie first. You on the right, my best profile is the left. He flips out his iPhone Xs-Max and skillfully pouts to take a picture. He shows it to me, and I must admit, it does look pretty good. Karan: I'll insta it later, will tag you. We can start now. I: Karan, I'm Soumya actually and I write for LOL. Karan: You are not Miss Malini? And is LOL a sub site for Pinkvilla? I: No, it is just a blog. Karan flips out his phone again, deletes our picture with a slide and looks at me with disgust. Karan: Whatever, now that I'm here, let's do this. I: Great. We'll start then? Karan nods with a pout. I: So, Koffee With Karan is back with season 6. What the new brew this season? Karan (with a straight face): I think, Arabica. I: No, I meant what's new this season? Karan (thinking hard): Lots of things ya, this is going to be the best season yet. Everything is changed. I: You mean all new guests this time. No repeats from the previous seasons. Karan (angrily): What nonsense! I meant new sets, new couch, new cups and even a new hamper. I: So, the show is just the same? And the guests too? Karan (proudly): Why would you change the best? I: Okay then, let's talk about your book. 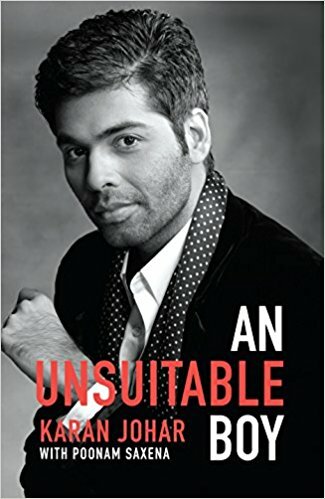 Karan (looking at me with disgust again): You can afford to read bestsellers? I: Well, if the best seller is being sold at 39 bucks on Kindle, yes. Karan: Just 39? I need to talk to my publisher. He flips out his phone again and storms out. After 20 minutes he's back and wakes me up from my nap by poking me with his phone. Karan (ecstatically): Done. He's going to add a 0 after the 39 now. I asked for two, we negotiated for one instead. I: Wow, just like the addition of Ks in your movie titles. Karan: Exactly! Finally you seem to be making sense. I: But Student Of The Year did not have a 'K' in it. What made you direct it then? Karan: That was a big gamble I took. I: Casting three new comers you mean? Karan: No ya, with the title. I wanted it to be called 'Kool Student Of the Year' or 'Karismatic Kids', but the others in my team did not think high of it, so we retained the original. I: The movie did well though. Those kids could act, honestly. Karan: Of course! What else would you expect from Mahesh Bhatt and David Dhawan's sperms? Karan (annoyed): Do you want me to teach you biology now? Karan suddenly starts humming "Bole Chudiya, Bole KANGANA". I realize he wants me to talk about Kangana, but I do not want to talk about unnecessary controversies, so I ignore it. I: You seem to have lost a lot of weight, well done. Karan: Oh yes, once I had my babies I had to lose the pregnancy weight na. Hahahahaha. Karan: It was a joke, did you not get it? Do you come from a famous lineage? Famous parents, at least? I: No, no and a no. Karan (looking at me with disgust): Yeah, I guessed that! I: You are a very fashionable director. Always into the latest trends! Karan: Oh yes, I need to spend my millions somewhere na. Fashion is just a hobby. I: Whose fashion sense do you admire the most? Karan: My best friend yaar, Bebo! Karan: Naah, she's all about magazine covers. None of what she wears on the cover can be worn in real life. I: Does she know that? Karan: No way! You think she'll come on my show if I tell her that? I: But you make them tell such stuff on your show. Karan: That's allowed. It's my show after all. I'm giving them a platform to express themselves. I did not want to talk about it, but the situation now calls for it. Is this man playing tricks with my mind? I: That's what Kangana did too, right? On your show. Karan (pretending to be angry and not interested): I don't want to talk about this topic anymore. Karan: Okay, if you are insisting so much, then listen. I've forgiven her for what she did, so she should let it go. I can't believe she's taking it so far now. I: But, she hardly talks about it now. What did she do? Karan: Her next movie, she's named it after me. Karan: Money-Karan-Ka. I can't help it if I'm rich and she's poverty! I: Karan, you have got it wrong. Karan: I can never get anything wrong. I'm Yash Johar's son. I: The movie is called Manikarnika. It is based on the Queen of Jhansi. I: The Queen of Jhansi. Rani Laxmibai. Karan: I've never heard of her. Doesn't she have famous parents? I: Never mind. Let's move to the Rapid fire round now? Karan: Hey, you have copied that from show. Not fair. I: Yes I did, only because it is you. Karan (pleased): Fine, where is the hamper? I walk in and come back with a Haldiram's hamper I have been saving since Ganesh Chaturthi. Karan (with a disgusted look again): What else can I expect from you? Karan flips out his phone again, checks himself out, pouts and nods. I: Okay. Who are the most talented new comers in the industry today? Karan: Alia Bhatt, Jhanvi Kapoor, Ranbir Kapoor, Arjun Kapoor, Kareena Kapoor, Varun Dhawan, Ananya Panday. I: Not all of them are new comers. Karan: I know, but they are the most talented. I: What about Vicky Kaushal, Bhumi Pednekar, Nawazuddin Siddiqui? I: Are they not talented? Karan: They are, but the others are more talented. They have it in their blood. I: Yeah, I get it. Let's move on. I: What's the first word that comes to your mind when I say the following? Kajol. Karan (shyly): Kuch kuch hota hai. Karan: Taimur, Roohi and Yash will be the superstars of tomorrow. Karan: I wish I had made that movie. It would have been twice as successful. I realized that this rapid fire round is not going as rapid as I expected, but still. I: I did not mean the movie. But, really? How would you make it? Karan: I'd set it in Paris Fashion Week firstly. I'd call it Firangi Fashion. I (sarcastically): No 'K' here? 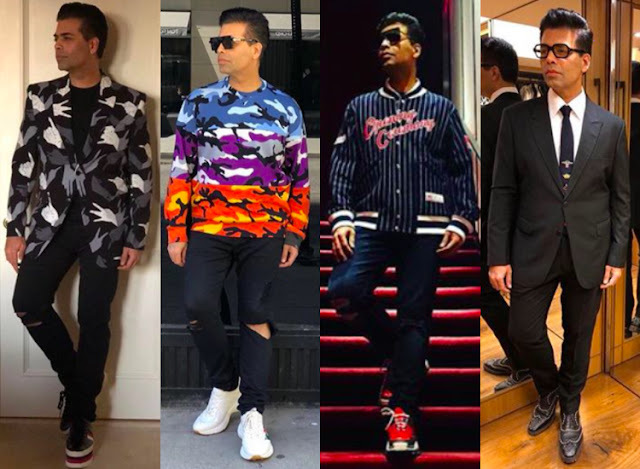 Karan (thoughtfully): Khatarnak Firangi Fashion? Karan: Don't worry, we'll have Bebo do an item number on the title track. We'll make it famous. I: What other movies do you wish to have made yourself? Karan: Swades. I'd set it in Iceland and have Shah Rukh melt the ice with his body heat to provide water for the whole village. Karan: It is a story, be creative! 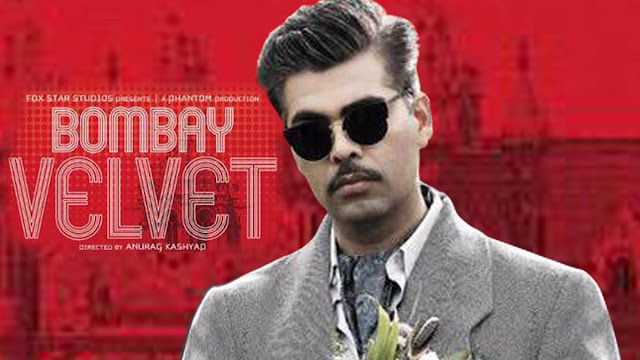 Karan (thinking hard): You know, I'd have loved to make Bombay Velvet. I: Didn't you star in it? Karan: Can you believe they didn't give me an award for it? I: Yes, I can. How would you have made it different? Karan: I'd have called it Kolorful Velvet and shot it over all the seven wonders of the world, with the actress wearing only velvet sarees. Karan: I know, right? But Anurag just wanted me to act and not direct. If only it was Adi. Karan (rolling eyes): Aditya Chopra. Son of Yash Chopra. I: Oh him. Rani Mukerji's husband. Karan: Yeah, him. When direction is in your blood, it is so easy. I: You mean to say that talent flows through blood? Between parents and children? Karan: Duh! Obviously. Look at Abhishek Bachchan, what an actor! Karan: Also, Arjun Tendulkar, Sachin's son. Didn't he win the world cup for us this year? I: That sentence is wrong on so many levels. First, we did not have a world cup this year. Karan: You really are stupid. Arjun Tendulkar won it. He could do it only because he's Sachin Tendulkar's son. I: Karan, we had the Football world cup this year. France won it. Karan (googles quickly): Yeah! I don't watch sports much you know, I prefer Entertainment now instead. I: Okay, Karan. Last question for the Rapid fire round and the chat. Karan (almost standing up): Well, about time. I: Give me a word that starts with N.
He stares at me intently and angrily as I have a big grin on my face. Karan: You think he has a son/daughter? Or grandchildren? I need to cast for Student Of the Year 3 soon. We'll set it in an historic school. In London, of course. Having said this, he grabs the hamper and walks away mumbling "I wonder if even my driver KKishan would want this." Thank you, Rachna. This guy does make for some good copy. Having said admire his wit and humor. He's excellent at that. haha...loved this one just as your previews #notamoviereviews. I think you are right on so many levels here! That's exactly how he must have behaved if this was a true interview! I'm going LOL. I love your blog in general but this is the best piece I have read in a long time. Your sense of humor is spot on. Ask Karan what about Manish and him,now that #377 is scrapped! Thank you so much, dear Sonia. I did not want to stir up more controversies with him. The last thing I wanted was him mentioning me all over news channels. How dare he delete the selfie with you? Apparently, I'm not famous enough for him. Nor do I have famous parents. Although, I do like watching Koffee with Karan, this Koffee with Soumya sounds so much more interesting, entertaining and intelligent!! Well done, Soumya! ENjoyed it thoroughly! Thank you, dear Shilpa! KwK is a super entertaining show though, can't deny that! Haha...The moment I saw this post's title in the FB thread I had to leave everything else and click on the link to read it. Karan behaved and answered all your questions in his true style. 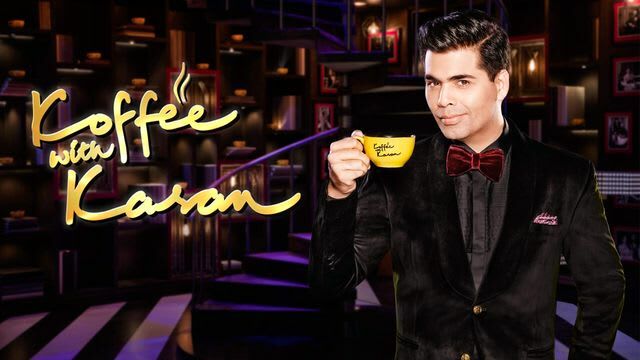 I used to follow Koffee with Karan till the time they were available on YouTube. Last time it went on hotstar and I stopped watching it. Don't ask why? :) By the way, I, as the audience of the show, have taken offence over Karan's answer about Vicky Kaushal. How did he not consider him having Filmi blood and putting him with the rest of the progenies? I demand an apology from him. I know, right? No wonder I got offended. You know what, just like his show I'll bring him back here and demand an apology. Thank you so much, Antarik. Oh my God! As I read each of your line, I actually felt the man speaking that way. You couldn't have known him more better through all the weird & bizarre stuff he speaks in the limelight. And by the way, he rightly deleted the photo from his phone. Because he seriously doesn't deserve to be clicked beside you, my dear, somebody with so much sanity, sense of humor, wit & is so suave! Well I am not a fan of him and you detailed why in this chat with your witty questions!! He comes across as very shallow and wannabe and I dont get his show at all.Its fake at so many levels and I just dont get why everyone is so gaga about it. Loved your take on it Somz- hilarious!! LOL this was hilarious Sowmya ! Nailed it! I wish KJ reads this ! I wish too but he won't since I'm nor from a famous family. Not even close. Hahaha. I can actually imagine Karan saying all these things. Just like you I actually his show a lot. I know its ridiculous but so fun. I always like Karan Johar for his wit. He is witty man if not anything. Wit oh yes! That's the only thing I like about that man and why I watch the show.